With the global population projected to reach 9.7 billion by 2050, the environmental footprint brought on by food production and consumption is set to rise more than 50 per cent over the same period. Two new studies are attempting to quantify how specific dietary shifts could help reduce this environmental footprint. 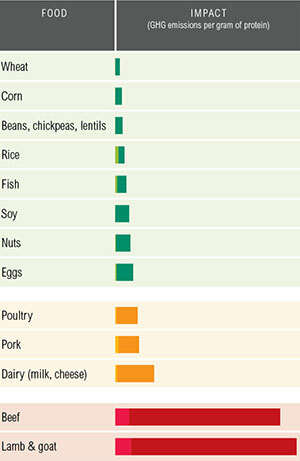 One study published in the Proceedings of the National Academy of Sciences ran four global food consumption scenarios to measure the health and carbon emission impacts of each. If the global population followed the health eating guidelines published by the World Cancer Research Fund International and World Health Organization, greenhouse gas (GHG) emissions would drop 29 per cent compared to the baseline scenario. The elimination of red meat and poultry entirely would lower emissions by 55 per cent, while a vegan diet would reduce them by 70 per cent. Rates of early mortality would also decline by 6 to 10 per cent, depending on the scenario. 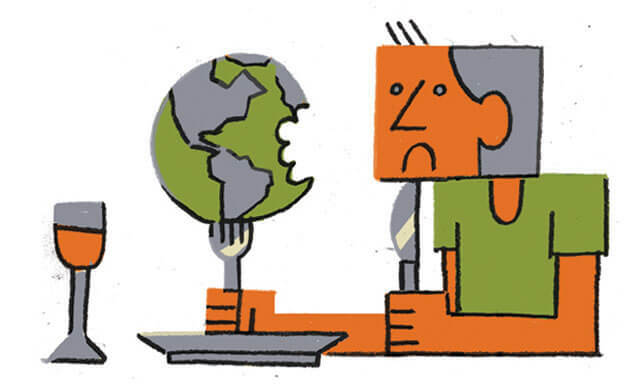 Another paper, this one released by the World Resources Institute, looked at both GHG emissions and land use impact brought on by reductions in overall consumption of animal-based proteins. Simply lowering the amount of beef consumed would bring about an estimated 6 per cent decrease in both agricultural land use and GHG emissions.